Happy 2013 for all Madonna´s fan all around the world! 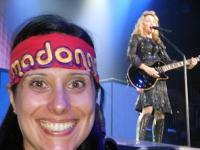 MDNA Golden Triangle, Best experience ever!!! Can't wait to see my queen in October!!! !